Phở. Yes, phở. 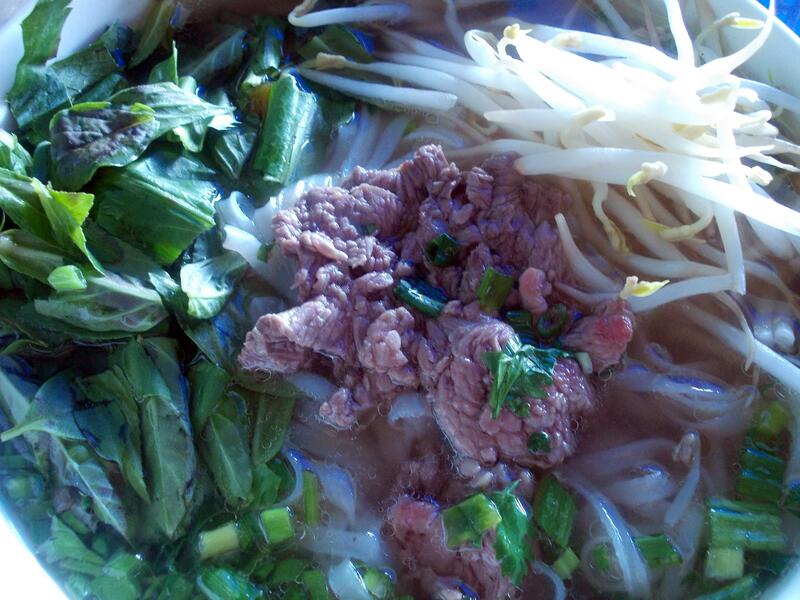 Phở is our final stop on this diverse food journey. What’s that? You were expecting something a little more exotic like marinated pig bladder or five flavors chicken tongue for the grand finale? Actually I am not even sure if those are edible parts of our barnyard friends, but I am going to hazard a guess that in Vietnam they just might be. Who knows? I’ve learned that in this country just about anything goes. And even if these were foods, my tastes run a whole lot less inventive and extreme I have discovered. Phở bò isn’t even one of my more favorite foods over here and actually probably ranks down there around #360 just edging out fertile duck eggs and their ilk. So why sit down to a bowl of beef noodle soup when so much enticing amazing variety awaits? The answer is quite simple. Phở bò is the food that launched this voyage deep into Vietnam’s cuisine. Once upon a time this was about the only food I dared eat here, and I ate it daily. Anything else scared the you know what out of me for I feared a meal from one the ubiquitous run down restaurants would rain hell and terror upon me in the form of gastro-intestinal horror. 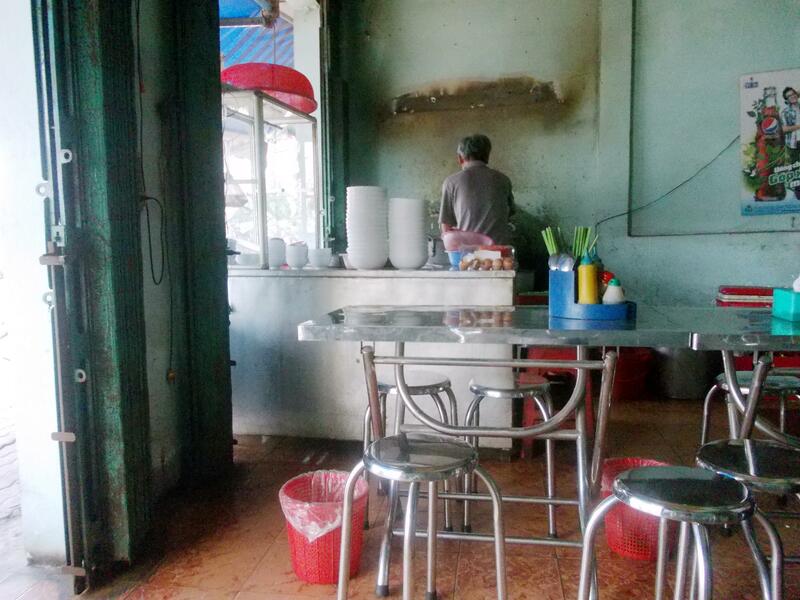 I can report after a year of eating in places that redefine filth and squalor, I did not become sick. Not once. Miracles will never cease. Or I have an iron stomach. Or incredible luck. So once again I found myself going back down the street near my apartment to a rundown phở parlor yet again for this final authentic sampling in its native habitat. 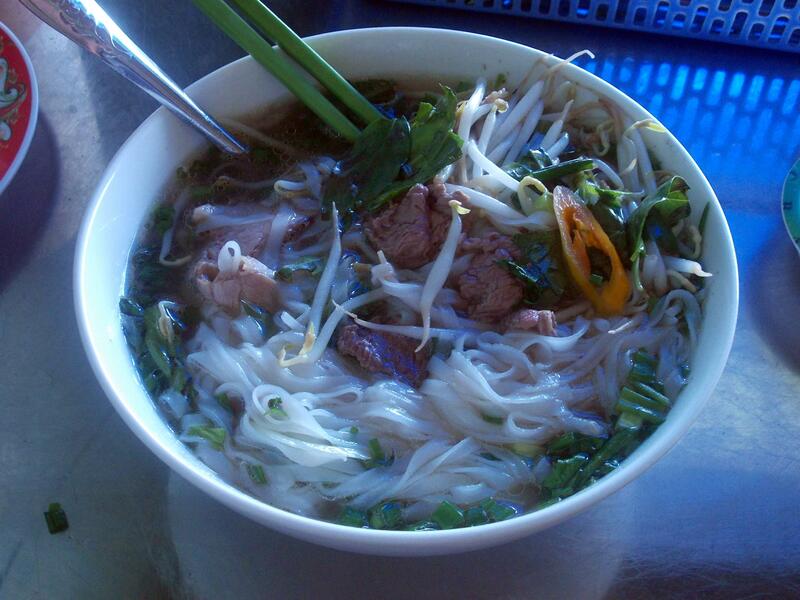 Besides, this is probably the most well known of Vietnamese foods in America where I am now headed. And once upon a time before living in Vietnam seemed even the remotest possibility, this is all I thought existed over here foodwise. Living in Hanoi originally led me to believe this fact to be true. They sure do throw down some phở up there, but as we have found out, the variety of non phở meals is just about endless from one end of the country to the other. Also, this restaurant is the typical open front, unairconditioned, bare bones type joint I have come to love over here. Just think…Just a mere 365 meals ago, places such as this gave me great pause, and now I can’t get enough. 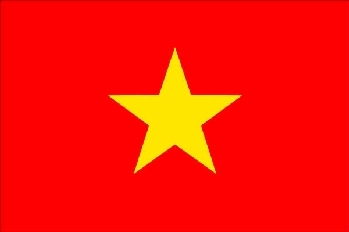 And now I can even order in Vietnamese, and understand the basics such as numbers. Progress sure is sweet, and even sweeter is shedding so many of my former food inhibitions along the way. Yes, this bowl of phở bò was much richer in memories than its actual flavor. Adding fresh coriander, Thai basil, rice paddy herb and sliced birdseye chili peppers did perk up the rather mundane beef broth though. How can I even describe the soup portion? Let’s see…imagine a beef stock with hints of star anise, garlic and other spices I won’t even begin to guess. It all simmers in a giant cauldron while a pleasant smell wafts all over anyone who steps foot in this concrete shrine to foods made the time consuming, traditional way I have come to love about the Vietnamese kitchen. Thank you Vietnam for providing such a varied bounty. If only I had another 365 days to really dive into the local food scene to explore even deeper. Perhaps my next project will be cooking many of these foods in my American kitchen. Check back sometime…you never know! Oh gosh I miss this place! Great pick for a last pho bo!